Let's Make Smart Green World with PVC Food Wrap for Commercial Use ! 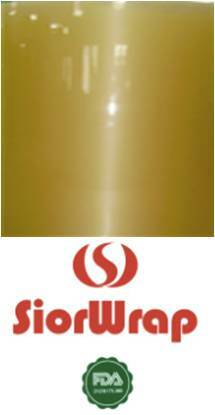 SIORCHEM, One of PVC Stretch Film for Food Key Manufacturers, Only Focused on PVC Cling Film Since its Foundation and use Food Additive Plasticizer which is Harmless to Human-Beings. 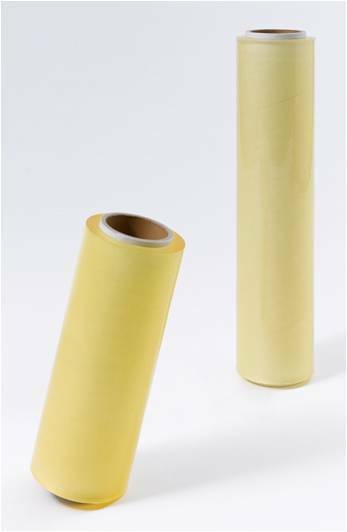 Our Human Care Eco-Friendly PVC Food Wrap made of Vegetable Plasticizer without harmful substances Listed on FDA (CFR). Stores, Food Production Factories and Packaging Mills. To Assure World Best Commercial Use Wrap Quality, all the Machineries of Our Production Lines Designed & Manufactured with our Technical Know-How in Korea, and We have Strict Quality Control & In-House Test Procedure to deliver our Premium PVC Food Wrap Quality for our Valuable Overseas Customers. - Anti-Fogging & Oxygen Permeability: Excellency enable to keep Foods etc. Recipe to make Strong and Weak Cling Film. Factories, Grocery Shops, Packaging Mills etc. Let's Make Smart Green World with PVC Food Wrap Machine Use Product ! PVC stretch Food Wrap for Automatic Packing Machine is the outcome of the ideal mixture of Anti-Fogging, Vegetable Oil and Epoxy with Fatty Acid, Macromolecule & etc. Excellent Quality of Anti-Fogging, Transparency, Stretch & Recovery and Oxygen Permeability is good for Display Various kinds of Dried & Wet Foods, Meat, Poultries, Vegetables, Mushroom, Sea Foods and Fruits etc. in the Market, Discount Stores, Food Production Factories and Packaging Mills. To Assure World Best PVC Stretch Food Wrap Quality for Automatic Packing Machine, all the Machineries of Our Production Lines Designed & Manufactured with our Technical Know-How in Korea, and We have Strict Quality Control & In-House Test Procedure to deliver our Premium PVC Machine Wrap Quality for our Valuable Overseas Clients. - Anti-Fogging & Oxygen Permeability Excellency : enable to keep Foods etc. Weak Clinging Effect for Machine Use Wrap. Poultries and Food Factories, Packaging Mills etc.